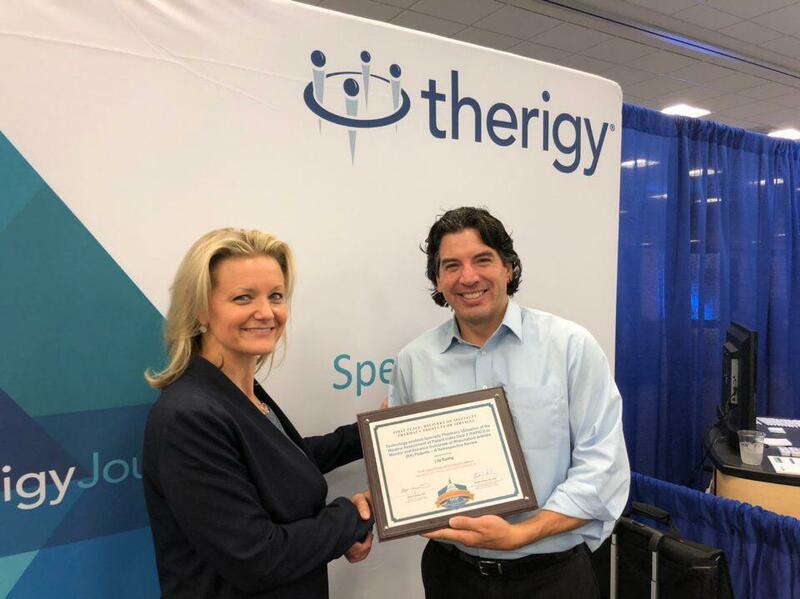 Our Therigy team just returned from the NASP (National Association of Specialty Pharmacies) Annual Meeting in Washington D.C. where Therigy CEO, Joe Morse, spoke on a panel with other industry experts on technology and how important interoperability and reporting is. 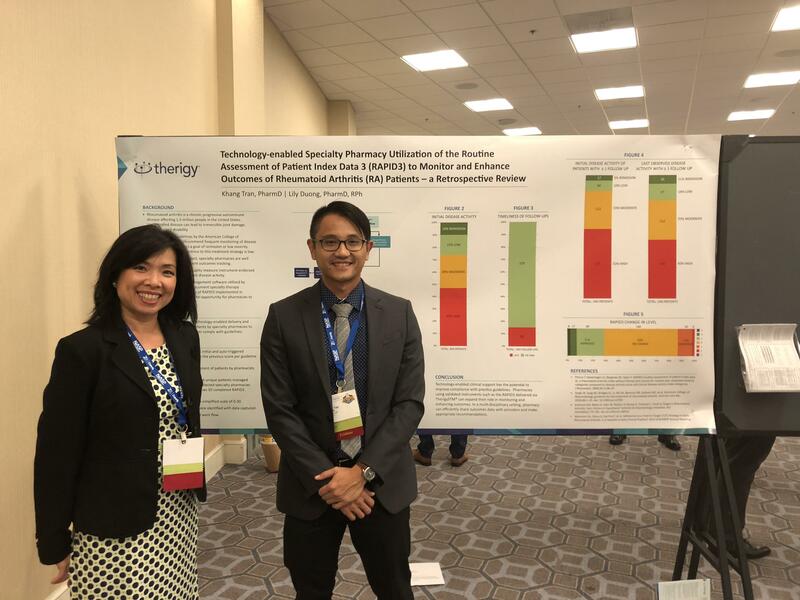 This conference marked the first time ever that Therigy submitted an abstract to the association and received approval to have a poster presentation at the conference. The poster was created based on a study that Therigy completed on Rheumatoid Arthritis adherence and outcomes improvement. 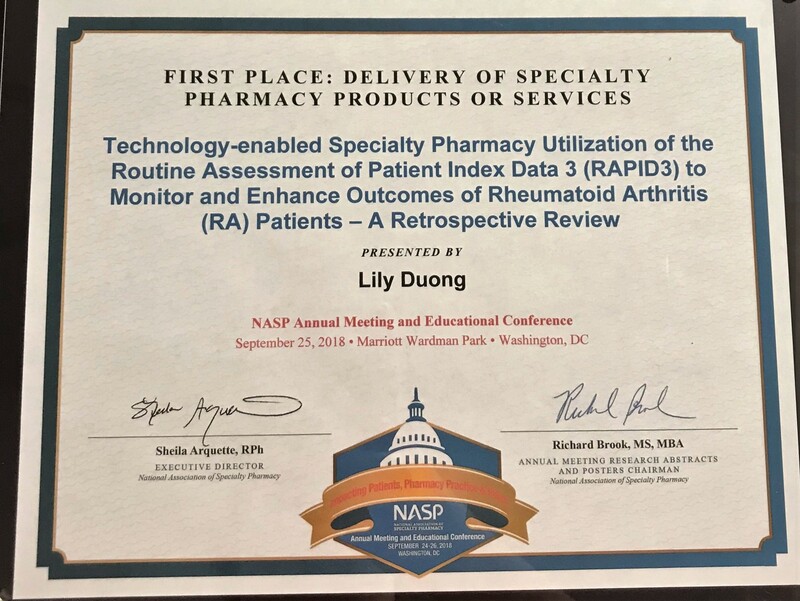 Therigy received FIRST PLACE in the specialty pharmacy technology provided products and services group. A HUGE CONGRATS and THANK YOU to our customers and team members that were involved in this study. To view the winning poster presentation, please click here . 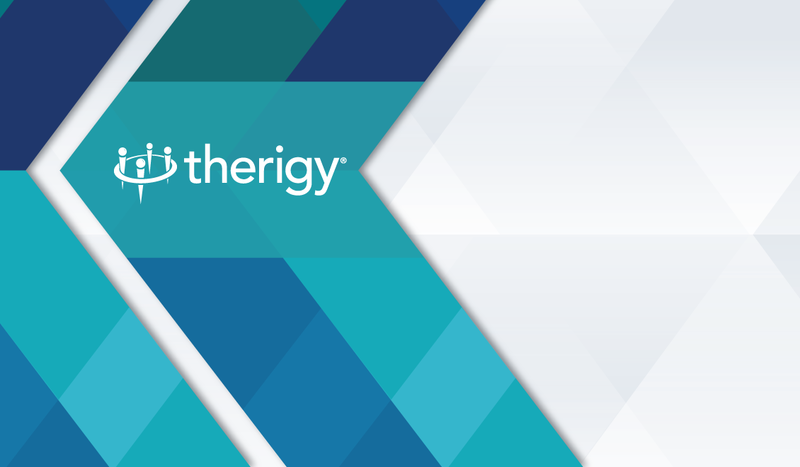 If you would like more information on how your pharmacy can be a part of a future outcomes studies, please contact us today via info@therigy.com.